We had planned to visit Memphis this weekend, but plans shifted last minute. So instead I did some organizing/cleaning and may have binge watched season 4 of Jane the Virgin (OMG that cliff hanger at the end?! I can't take it). On Saturday, we also stopped by Frankly Sausages and Ikea. 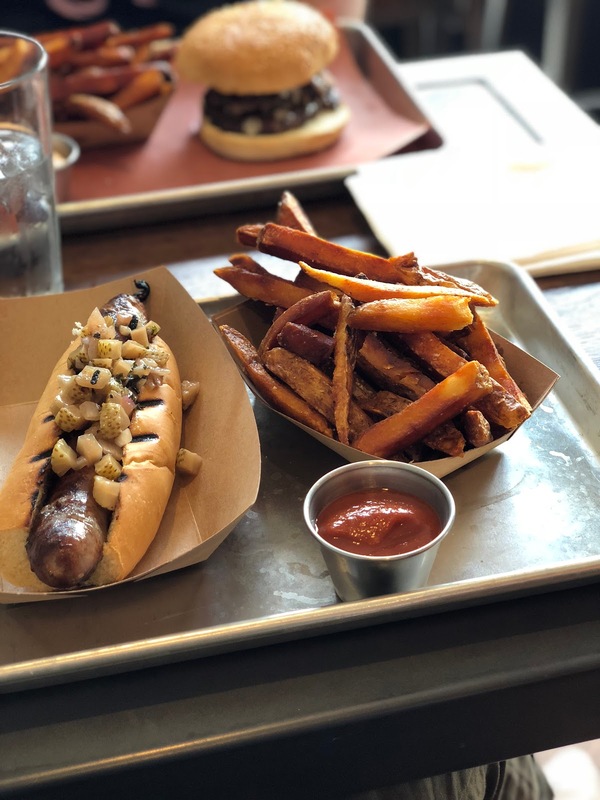 While their namesake sausages are delicious, I live for their fries. They are SO crispy, while being insanely creamy in the middle. The house smokey catsup doesn't hurt either. This time, I got their wild boar sausage with pickled green strawberries and mint. The sausage was pretty tasty, but I was indifferent about the topping. Husband got their burger (a recent addition to the menu) and oh my. It was SO good. I might cave and get that next time, despite their self-proclaimed specialty. Since we were going to Ikea after, comfort was key in outfit selection. 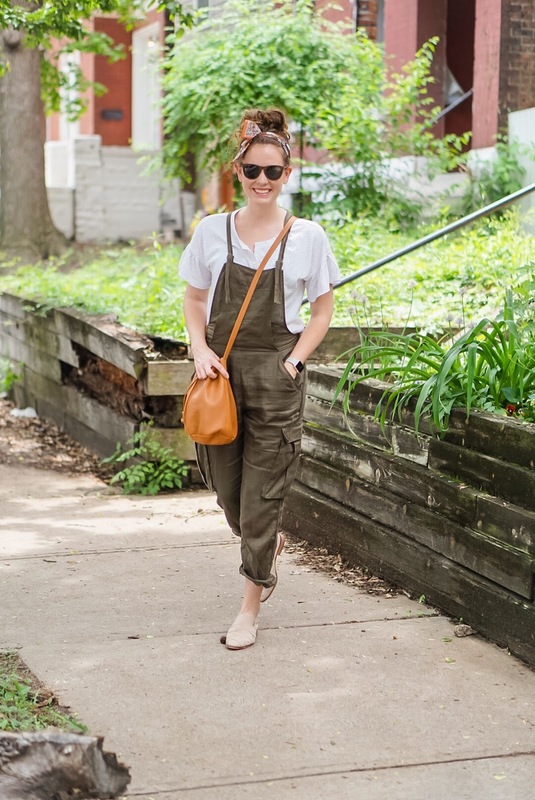 I went with an old favorite pair of linen overalls, and these super comfortable, soft leather shoes from Diba True. They very generously let me pick a pair from their new releases, and it was a tough choice because there were SO many cute options. 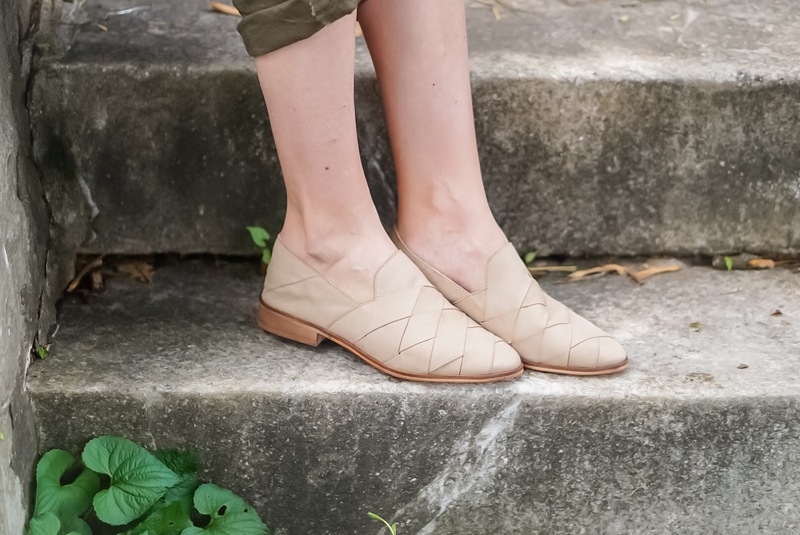 I ultimately settled on this style, No Evidence, because I think they'll look adorable with both skirts and jeans, and I love that the back is convertible so they can function as slides too. 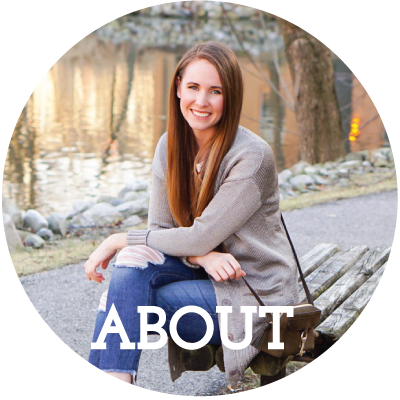 They also provided a coupon code for readers- get $30 off any pair with 'JENNAMARIE'. Winning! I also love this wedge sandal style and these olive suede wedges. I finished my outfit off with a few other items I've been repeating over and over- this $14 scarf (last seen here and here) which I recently ordered in another pattern (sheer pink multi) and this ruffle-sleeve henley. We actually ended up not buying anything up at Ikea. I did some pre-shopping online, and when we saw things in person, I realized I didn't study the measurements well enough and they wouldn't quite fit our space like I wanted. So back to the drawing board. I do have this rug arriving tomorrow, and I'm in the market for either a sideboard or cabinet to house all my ceramic platters and plates we don't use frequently. Our kitchen doesn't quite have enough space for all my gadgets and ingredients, so I'm starting to get creative and trying to house the pretty things elsewhere. Anyhow, once that space finally comes together, maybe I'll share it on the blog or at least on Instagram :) Hope you have a lovely day! Soooo while shopping for a couple new cabinet pulls, I stumbled across this blouse and logically bought it to qualify for free shipping. I mulled it over a couple days, since it's definitely more than I would traditionally spend on a blouse, but I just think it would be so cute tucked into a black skirt, or with white skinny jeans, that I couldn't resist. I've actually been really good about not shopping excessively, so I feel okay buying fewer nice things I'm really excited about. I'll report back when it arrives. PS- next week Monday is a U.S. holiday, so while Caryl and I may be posting, there won't be a linkup. Now, confession time. I don't normally like dungarees. But these I do like, this is just how they should be styled and worn with the right attitude. And the hair scarf finishes off the look perfectly. So now, thanks to you my dear, I find myself liking dungarees! Hugs, x. Great casual outfit! I love your head scarf - too cute! 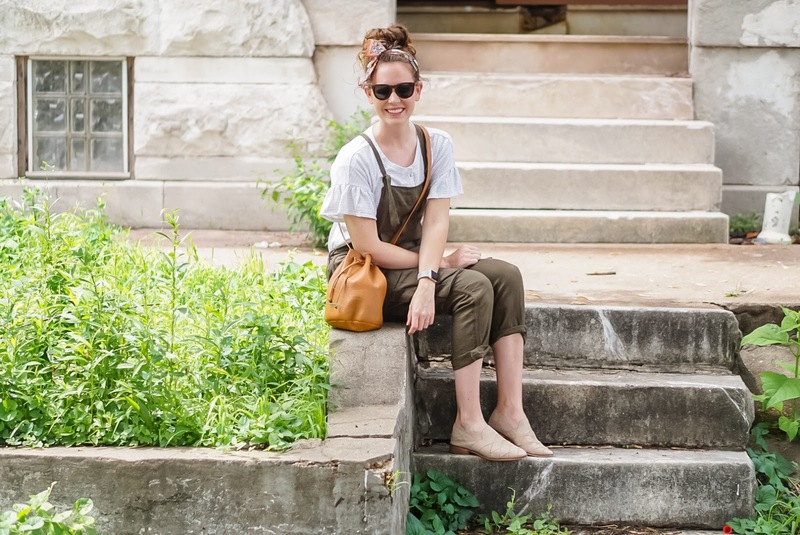 Oh my goodness, Jenna, these overalls are so adorable! I love this casual look. And the scarf is your hair is perfection! Jenna, you look very stylish! Love everything about this look! 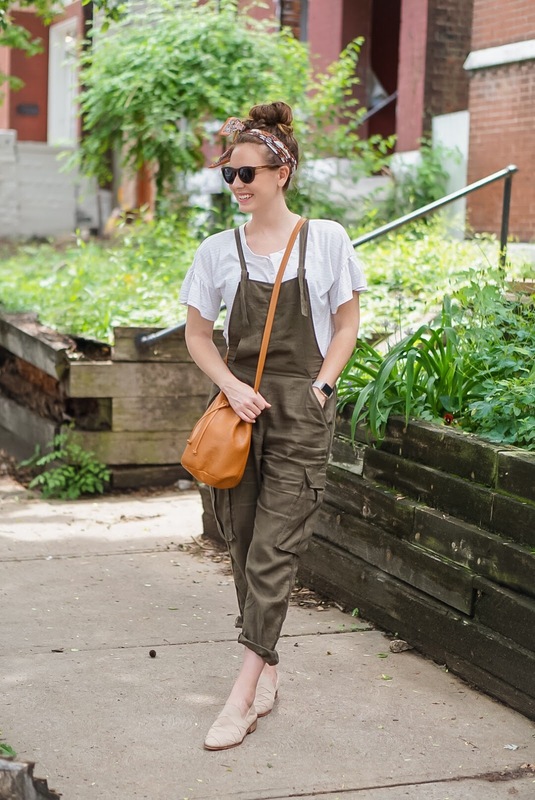 Those overalls are the cutest! I've totally gone to IKEA and not been confident enough with measurements to buy anything. In the end, it's better to be careful! Thanks as always for hosting this great link up. 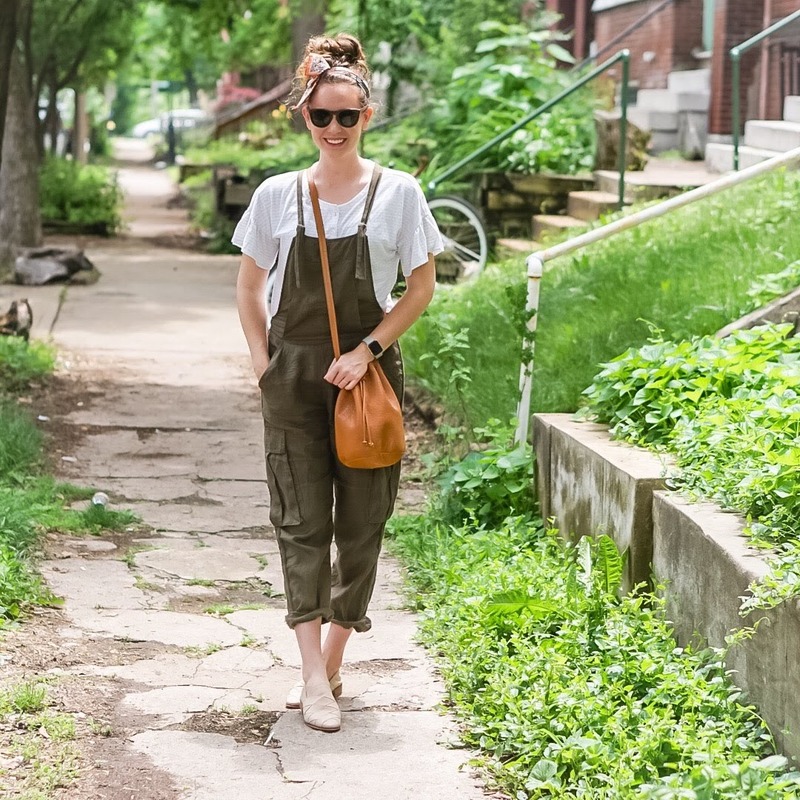 You look SO cute in those overalls! LOVE, LOVE, LOVE your look! Fab casual outfit! 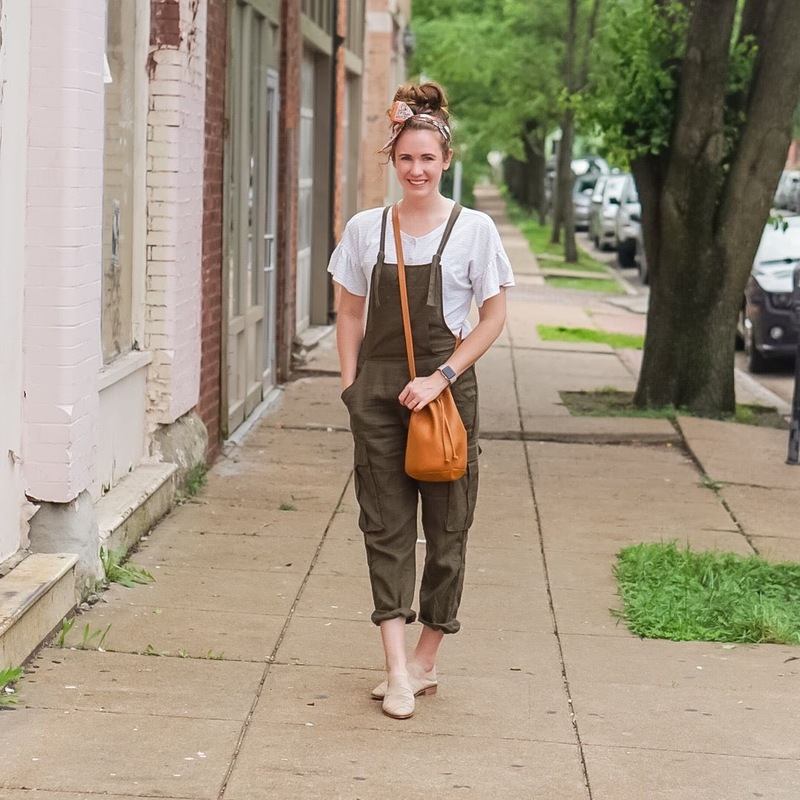 I love the overalls and your shoes!